Ed’s getting his MBE and for my sheerios that want to learn about what that is here is a quick but thorough explanation. I’ll be adding more pictures soon. Two times a year (at The Queen’s Official Birthday and on New Year’s Day), lists of those set to receive honours from The Queen are published by the Government. The most common order which those being honoured are admitted to is the Order of the British Empire, instituted by George V in 1917 as a way of marking civilian achievement. Our guy, Mr. Edward Christopher Sheeran is receiving his MBE for services to Music and to Charity. I truly admire this guy for the work he does quietly off stage and behind the scenes, the stories that never get told to the world at large, and the tiny acts of kindness tell me…and you can call me crazy…that I’ve seen an angel in person. The Order of the British Empire has 6 ranks, 2 of which entitle the holder to put ‘Sir’ or ‘Dame’ in front of their name. MBE – Member of the Order of the British Empire, is the first rank of the order and is the one which most are admitted to. It allows the holder to put the letters MBE after their name, for example Mr John Smith MBE. OBE – Officer of the Order of the British Empire, is the second rank of the order and is the one that those who have performed very worthy service are admitted to. The holder uses the letters OBE after their name, for example Miss Jane Smith OBE. CBE – Commander of the Order of the British Empire, is the mid-rank of the order and is generally awarded for outstanding work in an individual’s respective field. 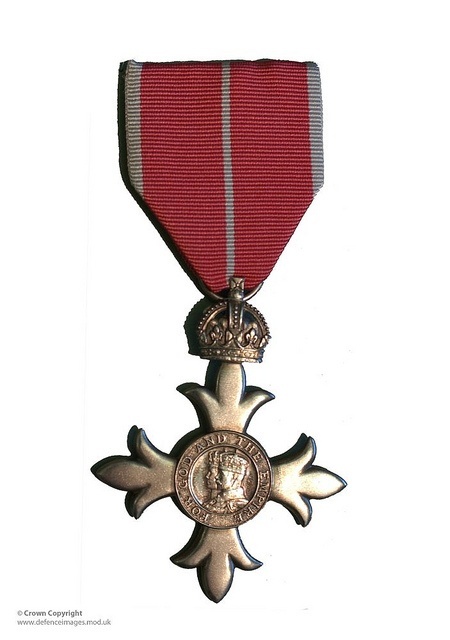 The holder uses the letters CBE after their name, for example Mr John Smith CBE. KBE/DBE – Knight/Dame Commander of the Order of the British Empire, this is the 2nd from highest rank in the order and is awarded usually for long and respected service in an individual’s field. The holder typically will use the title of ‘Sir’ if male in front of their first name and ‘Dame’ if female. KBE is male and DBE is for females. GBE – Knight/Dame Grand Cross of the Order of the British Empire, this is the top rank in the order and typically only one or two of these are given out a year – they’re extremely rare and are given out for exceptional service. The holder uses the title of Sir (male) or Dame (female). The wife of a KBE or GBE is entitled to use the title of Lady X where X represents their surname. For example, the wife of Sir John Smith (KBE) would be known as Lady Smith. The clergy, non-Commonwealth realm citizens and those with existing titles (such as Lord) typically don’t use the title of ‘Sir’ or ‘Dame’ and instead just put the letters after their name, e.g. Lord Smith KBE. It is incorrect to refer to a knight or dame using their surname, for example Sir Smith – Sir John is the correct form. The letters MBE or OBE etc are not a title, but are referred to as ‘post-nominals’. ‘Sir’ and ‘Dame’ are titles. There is a military and civil division of the order, those not affiliated with the military will be admitted to the civil division. Those who have been selected for an honour will have been notified well in advance of the list being published. During the following 6 months after the list is published, they will attend an investiture at some point at a royal residence where The Queen (or sometimes Prince Charles, Prince William or Princess Anne) will award them their insignia of the order and/or dub them as a knight. The recipient of the honour can use their new title or letters as soon as they are notified that they have been awarded it, the investiture ceremony is only the formal part when they receive the insignia. As well as those at the rank of KBE, DBE or GBE being able to use the title Sir/Dame, there are other benefits to being a member of the order. A member can also have a special device added to their coat of arms which shows their membership of the Order of the British Empire. Recipients also get a place in the Order of Precedence, with Knights of the order being just above low-level judges and just below Baronets. Every 4 years, the Order has a religious service – during that Knights and Dames Grand Cross are invested. The last one took place in 2012.